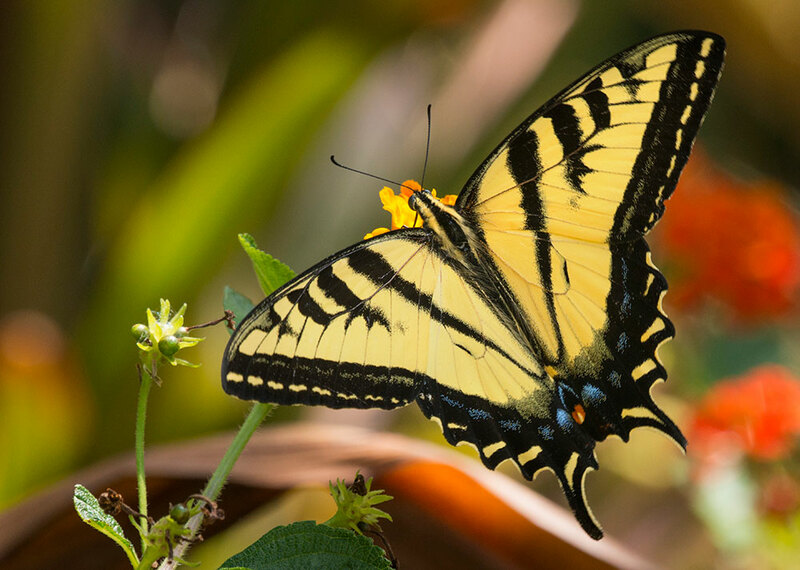 Winter rains bring spring flowers—and butterflies. At the beginning of March, I started noticing painted lady butterflies whizzing past overhead at the Zoo with determination that is usually seen in nature by only a few animals. Where are they going? Where did they come from? Are they searching for better feeding areas? Are they heading to a breeding ground? Is this a migration event? Well, yes and no. 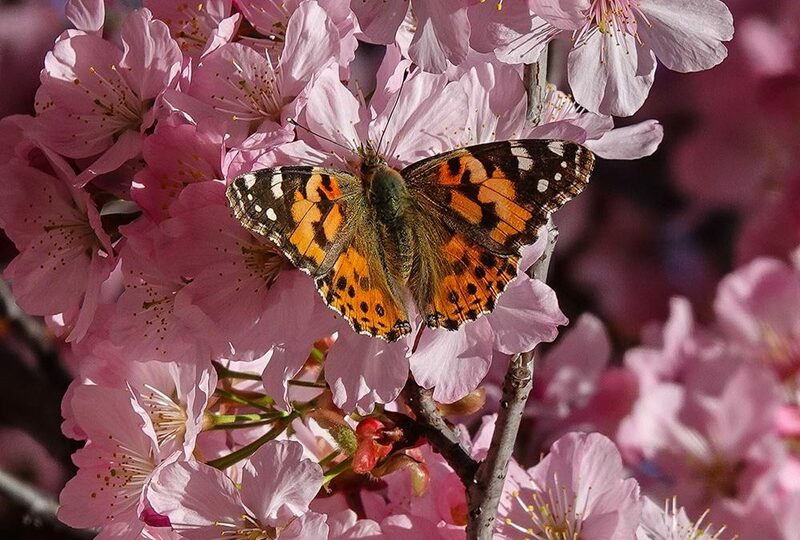 The painted ladies are fluttering their way northwest from Mexico to Oregon, and since each butterfly lives only a couple months at most, the long trek will be undertaken by several generations. This year we have been blessed with abundant rain. This is likely a contributing factor to the increased numbers of these flying jewels. When the eggs hatch out, the caterpillars are ravenous for leafy greens. So, with extra precipitation and cool temperatures in our region, the plants have stayed lush and plentiful. 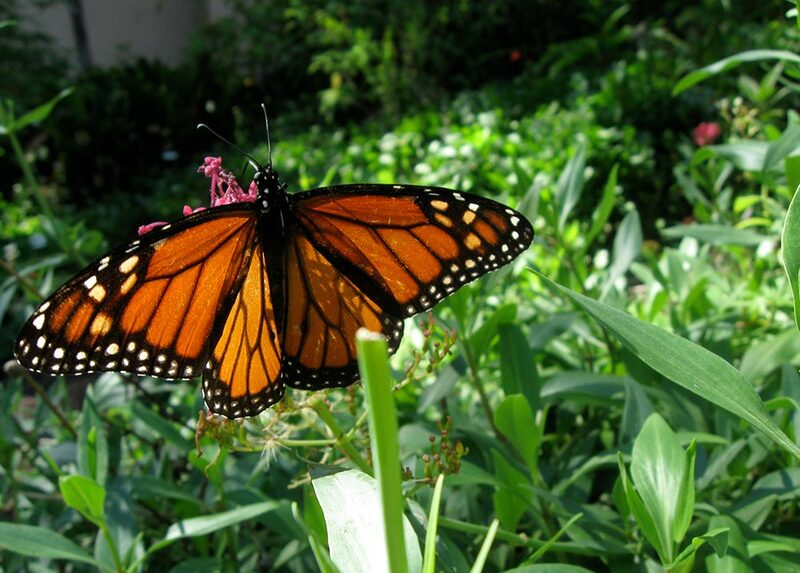 By now, many of us are familiar with the story and plight of the monarch butterflies, which have become a sort of canary-in-a-coal-mine indicator insect. Their populations have rapidly declined recently and indicate a problem, possibly caused by people. All is not lost! But it is a signal that maybe we need to alter our habits. Use fewer chemical pesticides and herbicides. 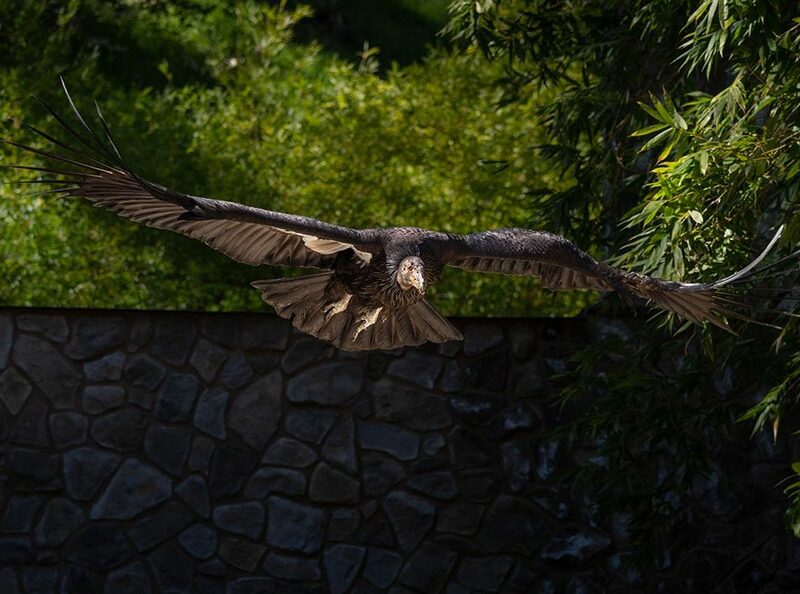 Plant more native plants and plants that offer food and shelter to wildlife, like the bird gardens we planted here at the Zoo and the pollinator gardens that are in the works. The story of the monarch can become a lesson about how we can each make a difference. When you take action to help monarchs, you'll be helping painted ladies and countless other butterflies and insects. Just as all things must come to an end, so too has the recent painted lady event. 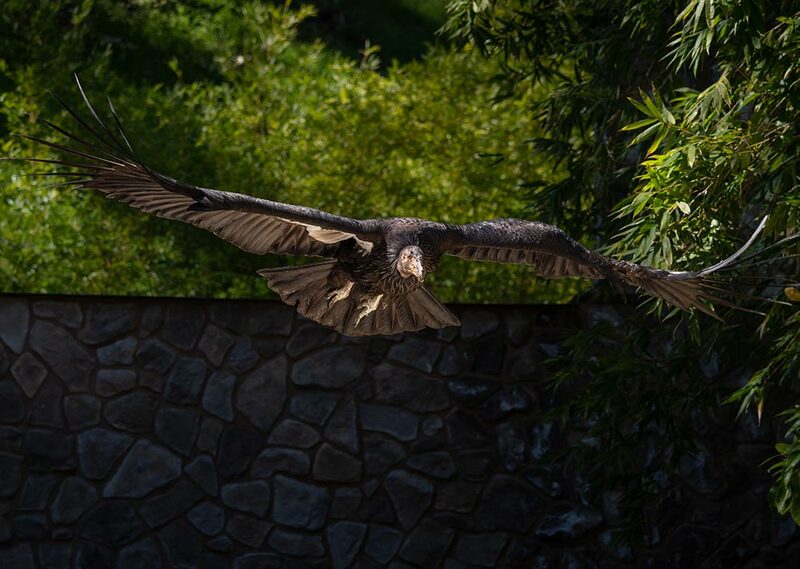 Hopefully you had a glimpse of these delightful visitors zooming past! Caterpillars, the larval stage of butterflies and moths, often prefer specific food plants, called host plants. Gulf fritillaries lay their eggs on passion vine; monarchs lay eggs on milkweed; sulphurs (so named because of their glowing yellow color) deposit theirs on cassia. 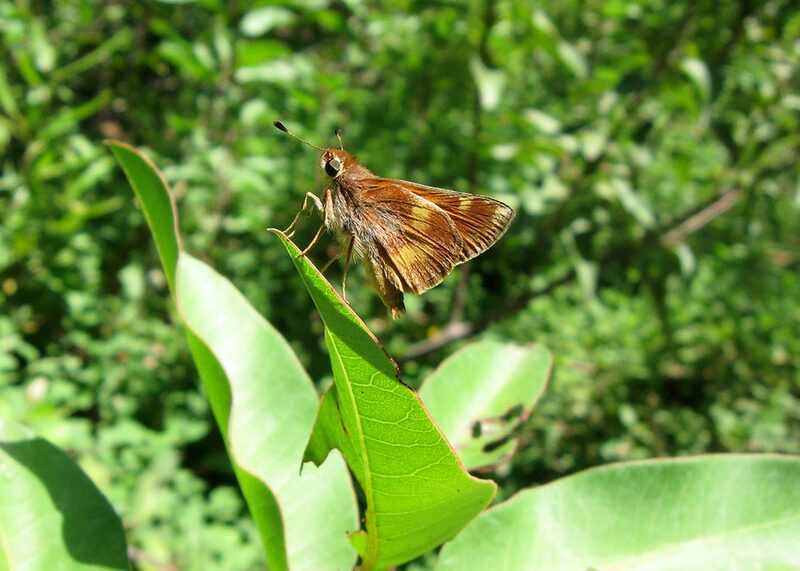 Though mourning cloak larvae will eat a range of plants they seem to prefer willows. 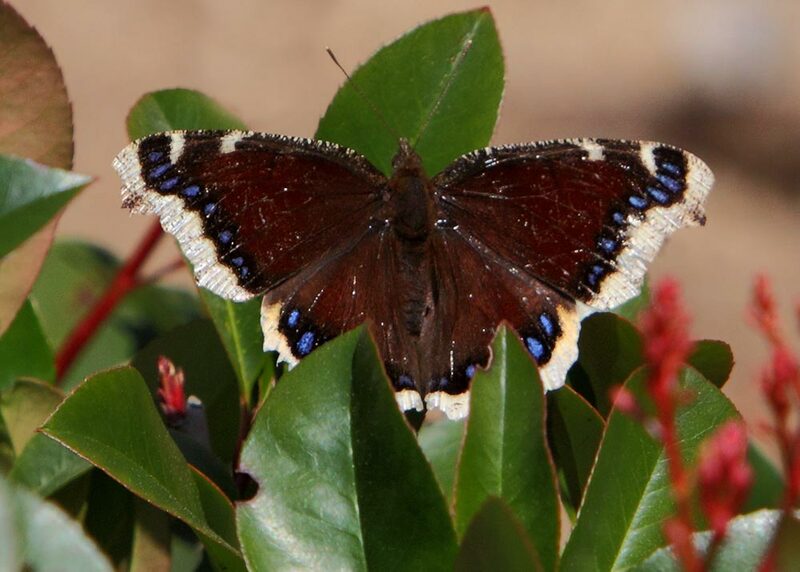 A few years ago, a colony of mourning cloak caterpillars hatched on a willow in the native plant garden in the front entrance, drawing attention and concern. Though the voracious caterpillars can be destructive in large numbers, healthy plants will recover—and there are usually enough equally voracious predators such as birds and lizards to maintain a balance. So, the next time you visit the L.A. Zoo and some colorful creature flutters by, check to see if you can identify the species. 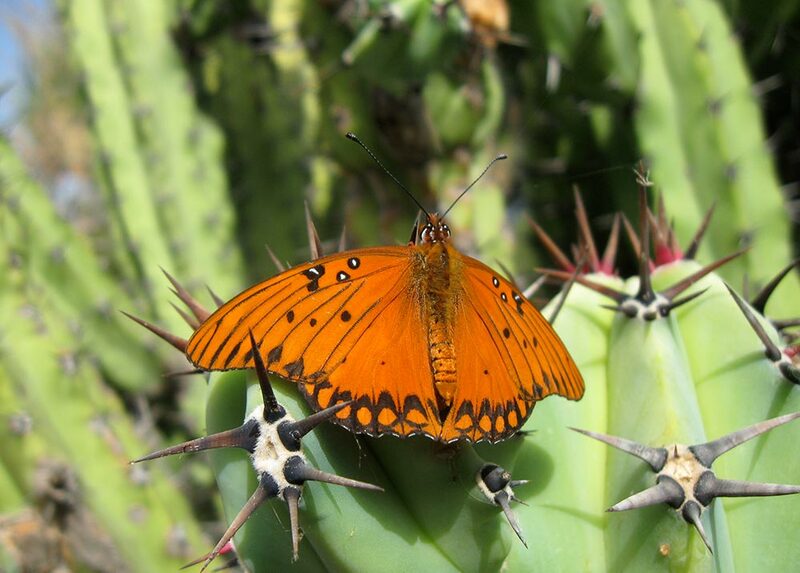 The Natural History Museum of Los Angeles County publishes a concise, informative booklet, “Butterfly Gardening in Southern California” (edited by Brian V. Brown), that is useful in identifying and learning how to attract butterflies. 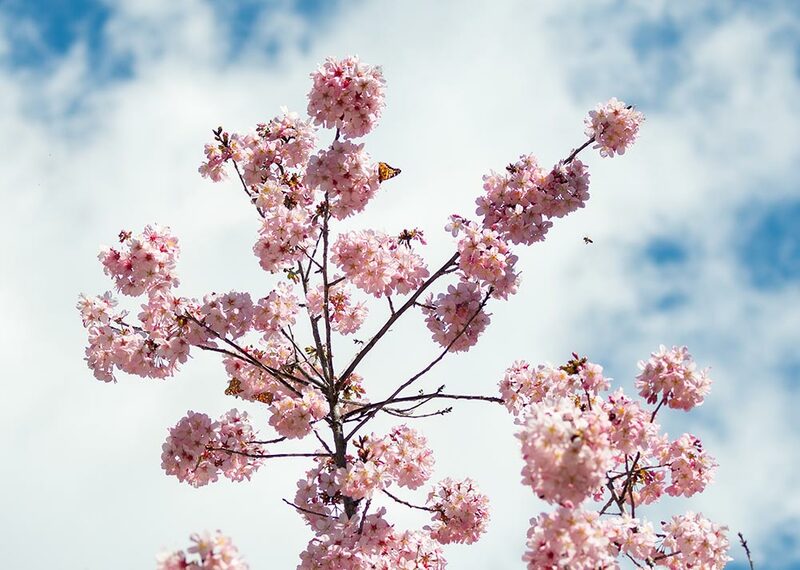 Celebrate all things spring— birds, bees, butterflies, regrowth, and greener living through a sustainable lifestyle. 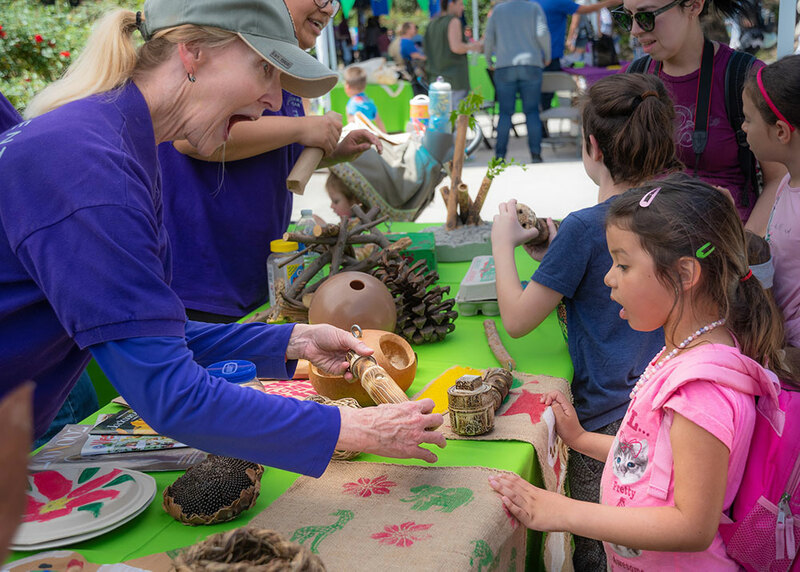 Learn what you can do to help the environment and wildlife conservation while enjoying special entertainment, workshops, crafts, and more. We'll be spotlighting pollinators and the important role they play in ecosystems everywhere.